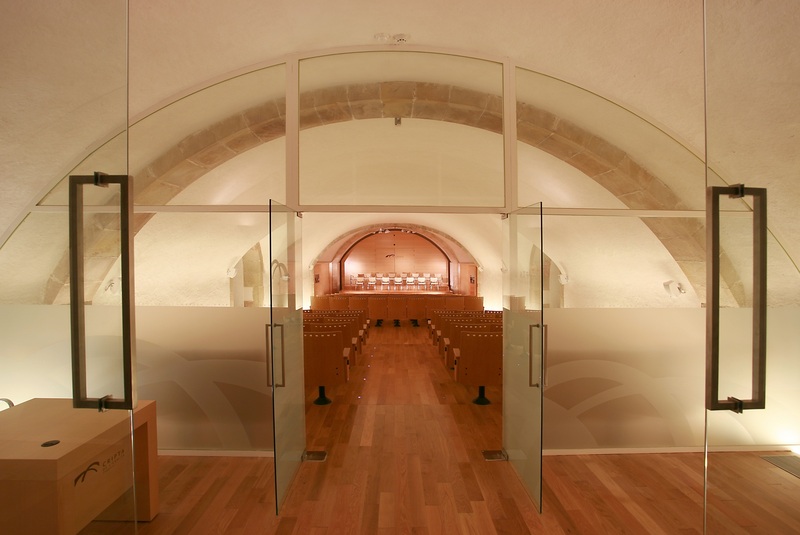 Restoration and rehabilitation of the Crypt of Cambrils as a concert hall and rehearsal space for the Verge del Camí choir, as well as a multipurpose room for meetings and lectures. 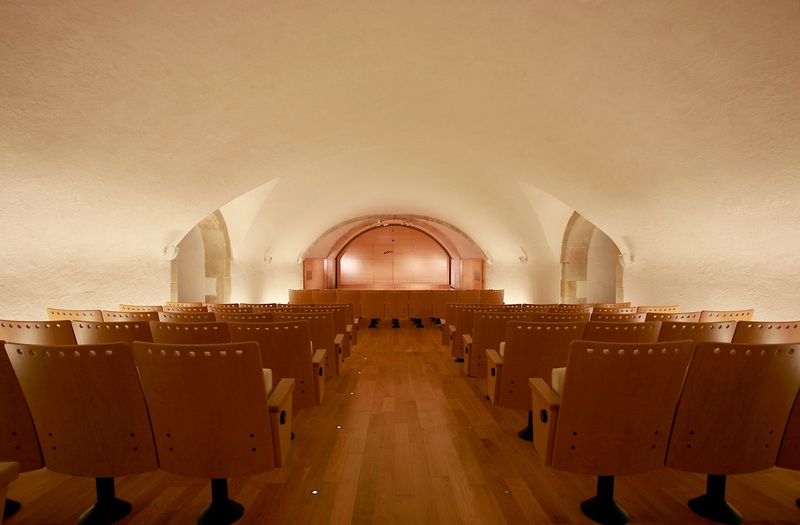 The Verge del Camí Choir of Cambrils, the de facto manager of the Crypt, spearheaded its transformation into a concert hall seating 170 people. 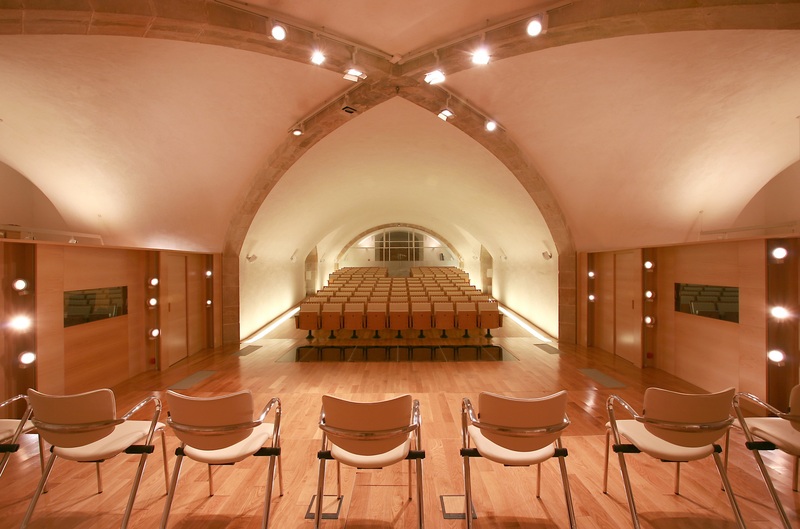 It was designed as a space that would complement the Theatre-Auditorium promoted by the Cambrils Town Hall. 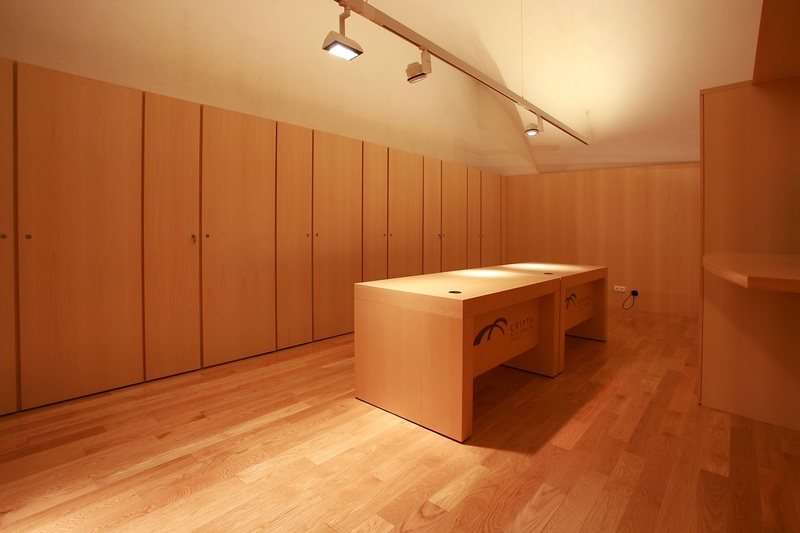 The intervention was designed based on two important concepts: respect for the uniqueness of the original building, which users and Cambrils residents hold fondly, and the adaptation of the hall to today’s needs. 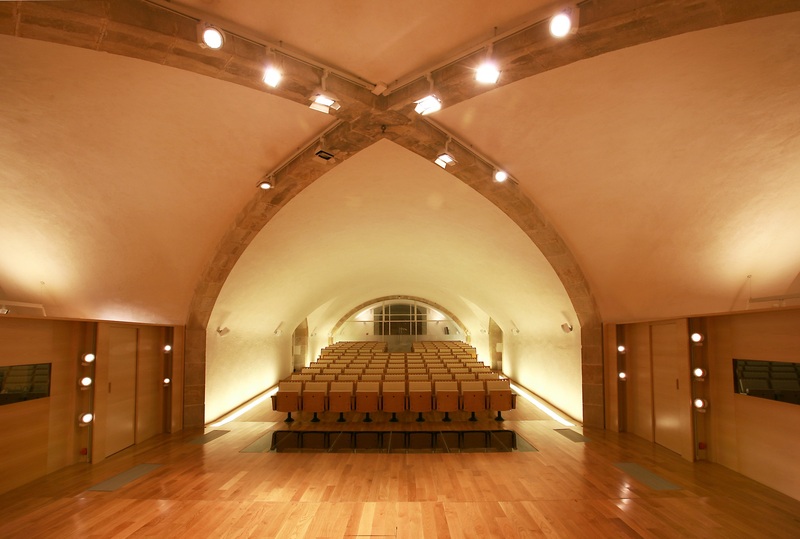 The original hall was in the shape of a Latin cross with one transept in the centre which was turned into the core dramatic point around which all the other spaces revolved. 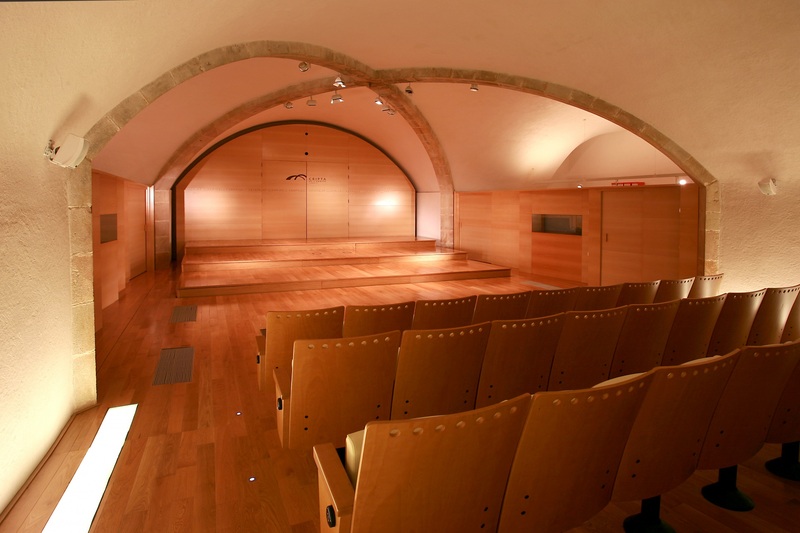 The main idea was that the venue should be able to adapt to different needs and kinds of events, so we suggested an interplay of different floor levels, starting from the highest point where the entrance to the Crypt is located and gently descending towards the stage, which has a system of four movable platforms that can be adjusted to different heights. 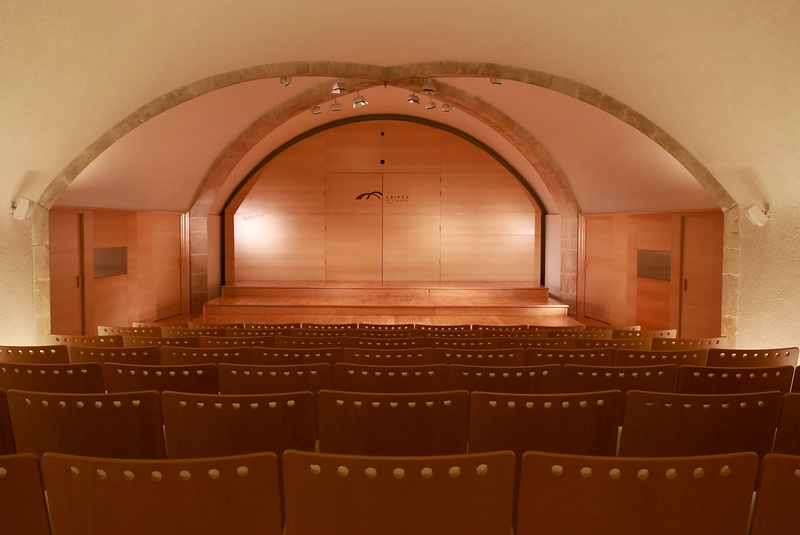 In this way, the stage could be arranged in steps to host choirs or to increase the seating capacity for a chamber music concert. 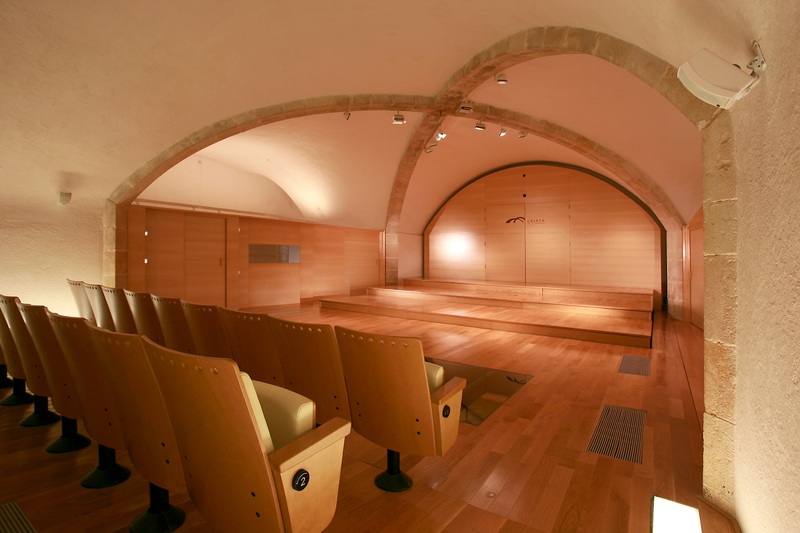 It could also be set up as a traditional stage, or disappear to host lectures and other official events. 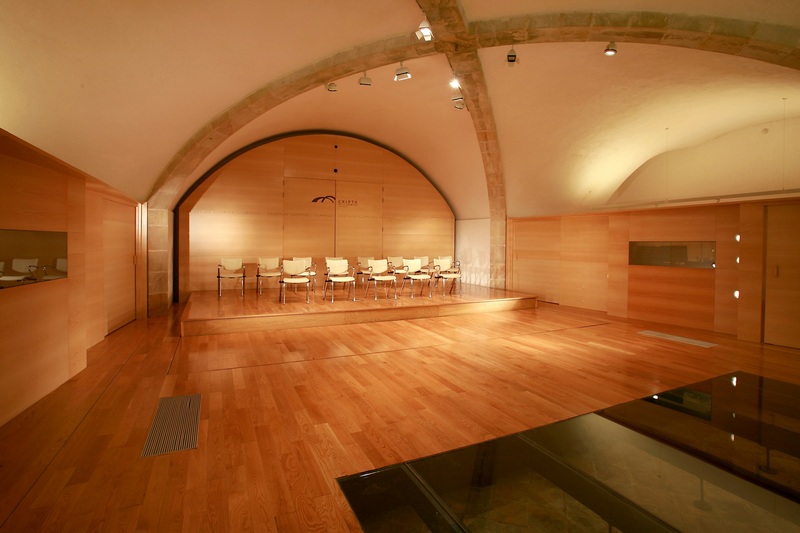 Furthermore, these double floors serve as a place to house the installations without touching the original stone vaults or the walls. 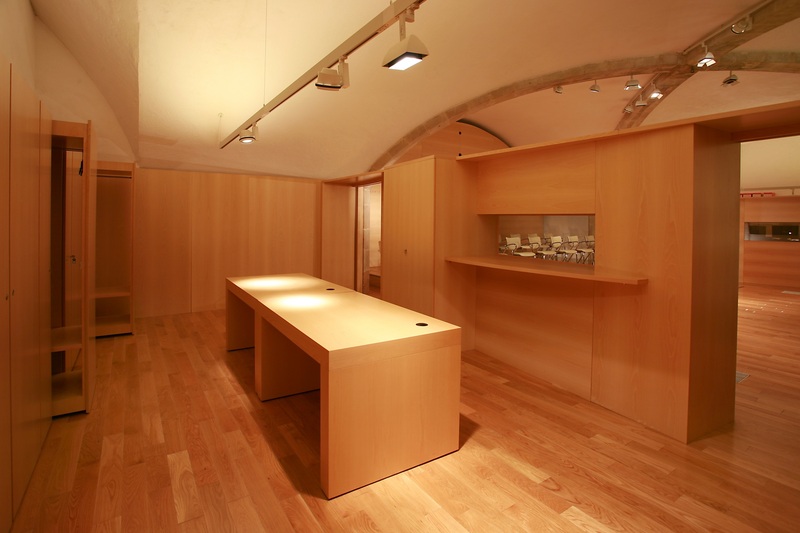 The rest of the walls were built of wood and glass. 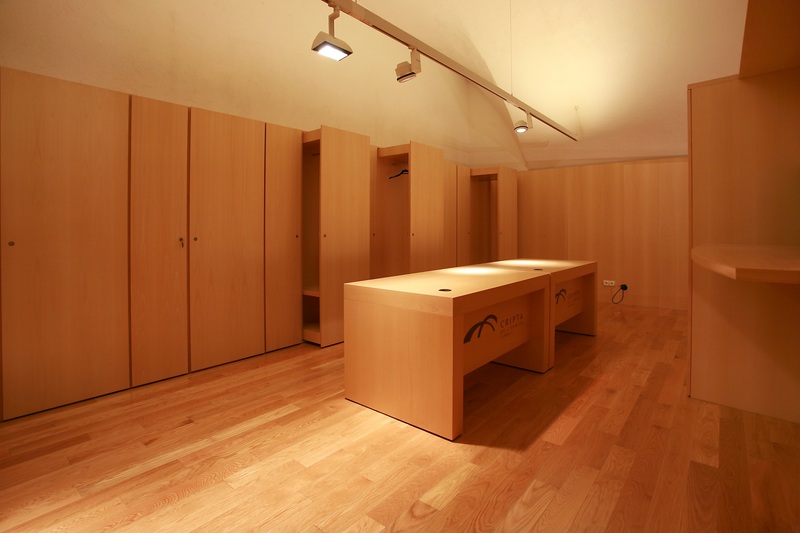 The two side naves house the storage room and the rehearsal room, but they also serve as dressing rooms separated by wooden walls that help improve the acoustics. 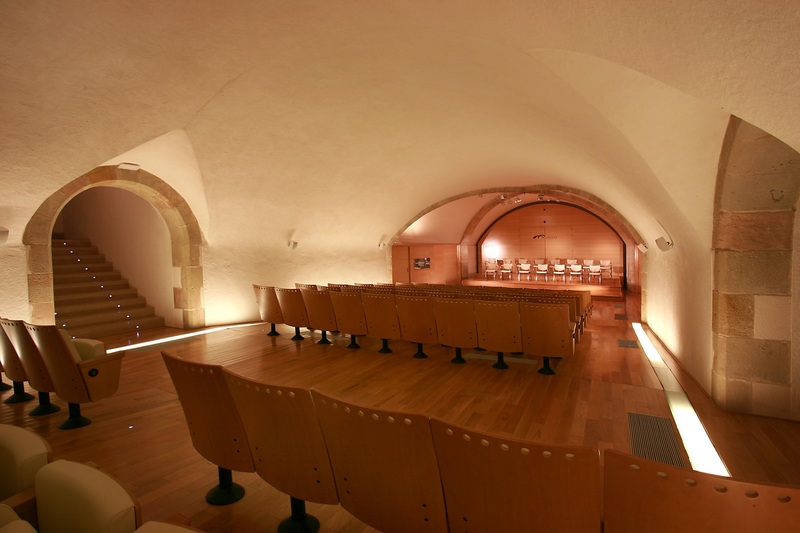 Two rows of lights run down the aisle on the floor, providing direct lighting for the vaults. 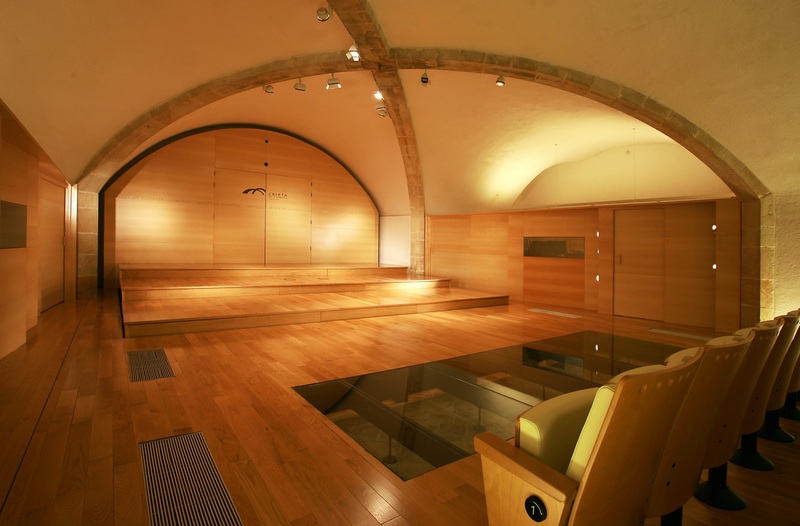 The apse is clad in wood panelling that does not actually touch the perimeter and acts as a false back wall; the piano can be stored behind it. 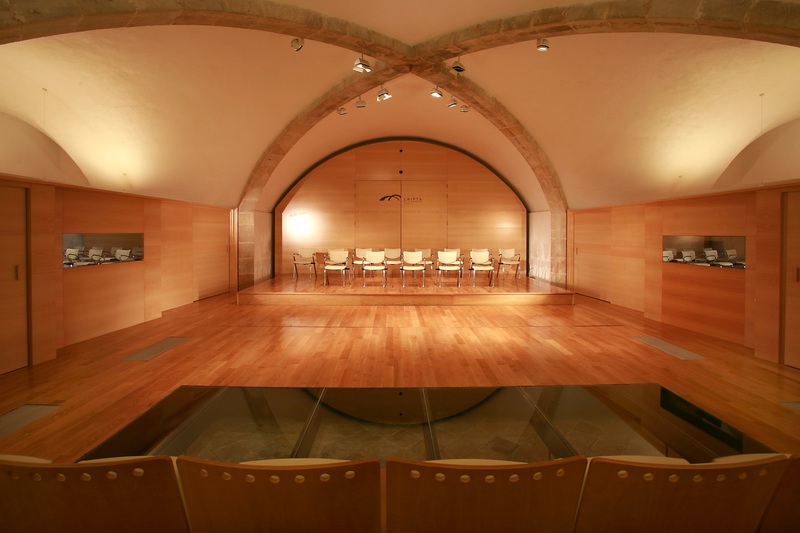 This wooden backdrop is the abstract altarpiece of a space of worship where music is the ritual that is officiated.